Is it really simpler and easier? 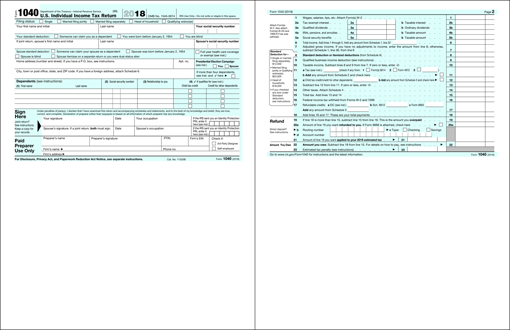 The IRS has just released the new 1040 Individual Tax Return form for 2018. This form will replace the 1040EZ, 1040A, and 1040 forms from previous years for all individual taxpayers. 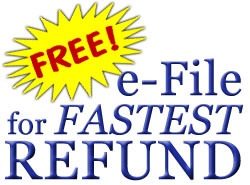 Everyone will now file the same form, with additional schedules depending on your tax situation. When the Tax Cuts and Jobs Act (TCJA) was passed by Congress in 2017, lawmakers promised that our taxes would become so simple that we could file them on a postcard. So has this promise been fulfilled? Not exactly. As you can see, the new tax form is actually one full page, but it has been split in half and made into two half-size pages. This makes it approximately twice the size of a standard 4″ x 6″ postcard, and considering that a postcard is usually filled out on one side only, this is equivalent to four postcards. 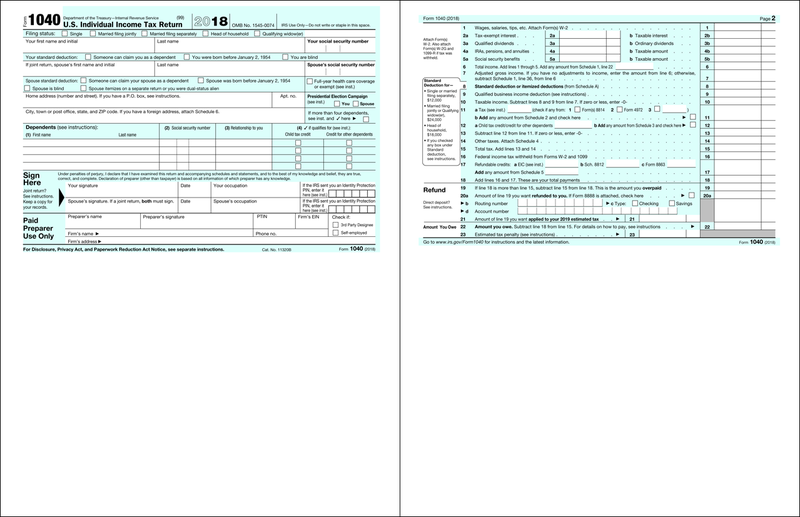 The new 1040 Form has 23 numbered lines, compared to 14 lines on the old 1040EZ form. In addition, the font size and line spacing have been reduced in order to squeeze more text into the smaller-sized form. Thus, the new form actually requires more information than the old 1040EZ form. Perhaps the most insidious thing about the new tax form is that it can require up to six new schedules — additional forms that need to be filled out — in order to file a complete tax return, depending on your situation. For example, did you get a state tax refund last year? Or receive unemployment compensation? If so, you need to include Schedule 1. If you don’t, your tax return may be rejected, triggering penalties. Are you a teacher? Did you contribute to an IRA? Did you make payments on your student loan? These important adjustments can lower your taxes. They used to be included on Form 1040 for previous years, but now if you want to take advantage of them, you have to include an additional schedule. If you don’t, the IRS will not tell you. They will just gladly accept the extra taxes that you aren’t legally required to pay. Could hiding these adjustments on a separate form be part of the government’s strategy to pay for the tax cuts? What this means is that with the new tax law changes, and the new forms and schedules, taxes are now significantly MORE complicated than they were in prior years, with some returns that used to take 2 pages now requiring up to 8 pages. These changes have made it much more likely that taxpayers will miss certain deductions and tax breaks to which they might be entitled! At OC Tax Services, we are experts in the new tax law. We will make sure that you are in full compliance and pay the lowest amount of tax legally required. Don’t be tripped up by all the changes! Contact us today for a free quote. Serving Aliso Viejo, Anaheim, Anaheim Hills, Brea, Buena Park, Corona del Mar, Costa Mesa, Coto de Caza, Cypress, Dana Point, Dove Canyon, Foothill Ranch, Fountain Valley, Fullerton, Garden Grove, Huntington Beach, Irvine, La Habra, La Palma, Ladera Ranch, Laguna Beach, Laguna Hills, Laguna Niguel, Laguna Woods, Lake Forest, Los Alamitos, Mission Viejo, Newport Beach, Orange, Placentia, Portola Hills, Rancho Santa Margarita, San Clemente, San Juan Capistrano, Santa Ana, Seal Beach, Silverado, Stanton, Trabuco Canyon, Tustin, Westminster, Yorba Linda and all OC! © 2019 Vere Chappell | Powered by WordPress | BranfordMagazine theme by Michael Oeser based on Mimbo and Revolution.